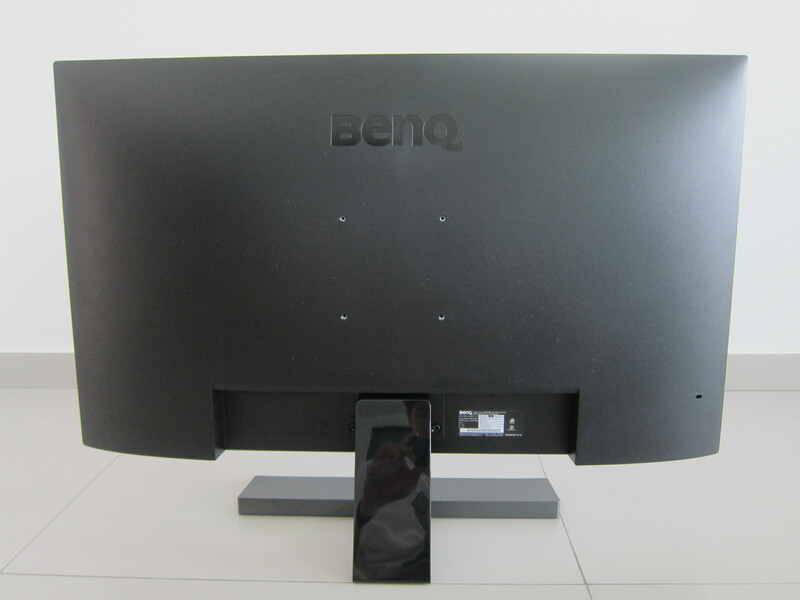 BenQ EW3270U is a 32″ 4K monitor which supports HDR (HDR10). 4K is more pixels while HDR affects the colors. 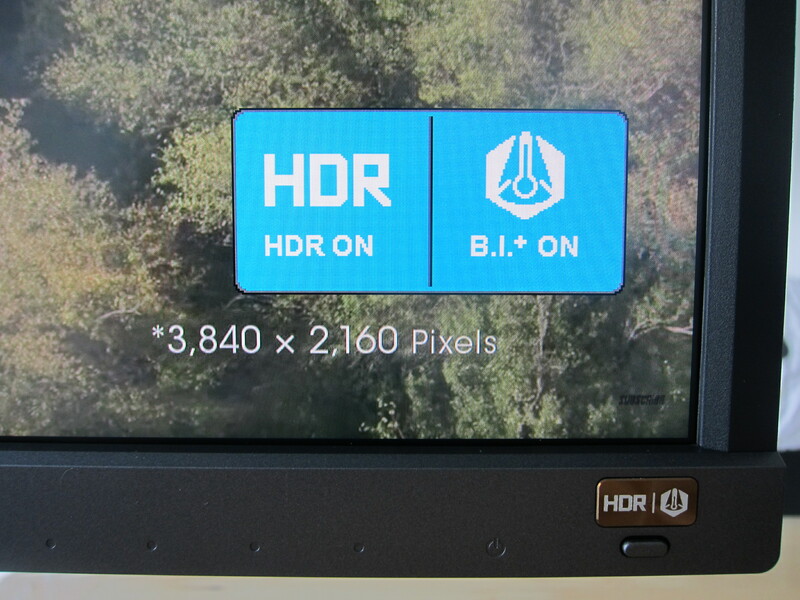 Most 4K monitors in the market don’t support HDR. It comes with 2W built-in stereo speakers and supports USB-C display input. 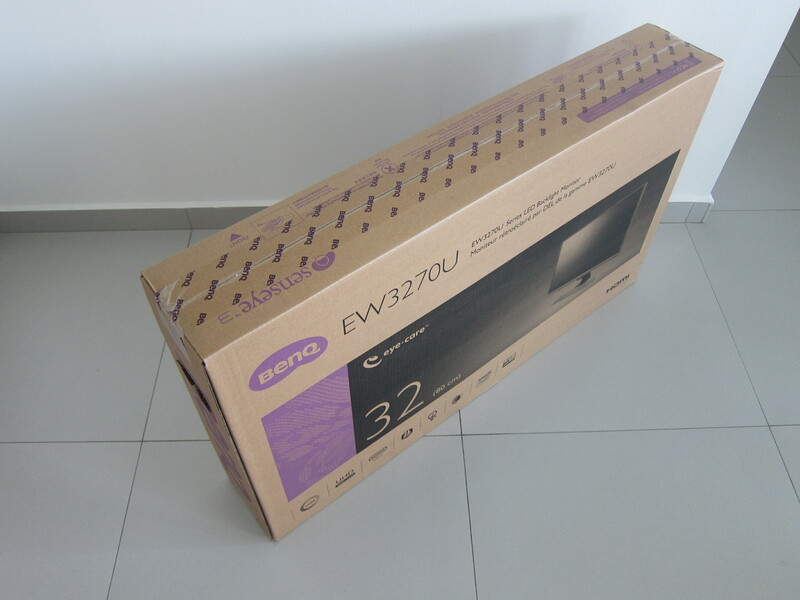 Similar to EW2770QZ, EW3270U is being certified by TUV Rheinland for its High Contrast 3000:1, Flicker-Free, Low Blue Light, and Brightness Intelligence Plus (BI+). For the unaware, TUV Rheinland is a German company and a global leader in technical and safety certification. The box might look big and heavy. But in fact, it is quite light. The package weighs just 10.2 kg. 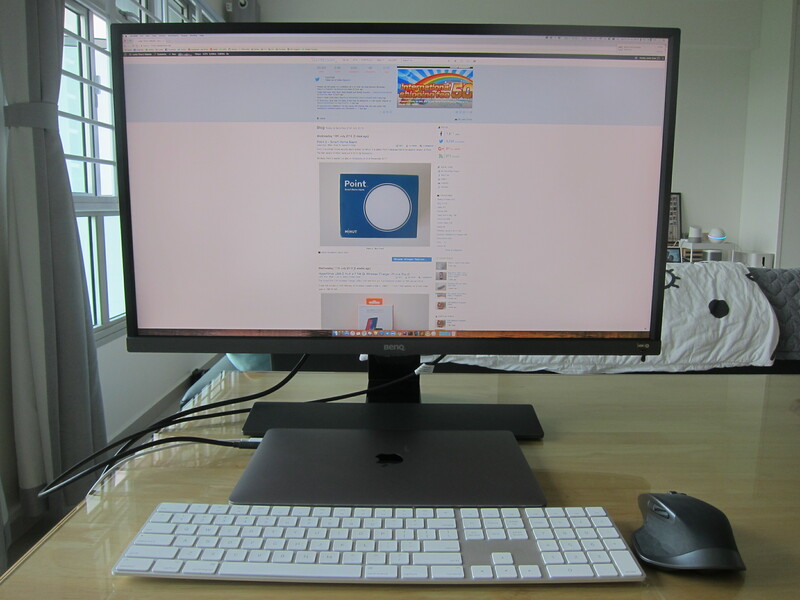 Since 32″ is a huge monitor, the monitor stand arm is shorter as well. 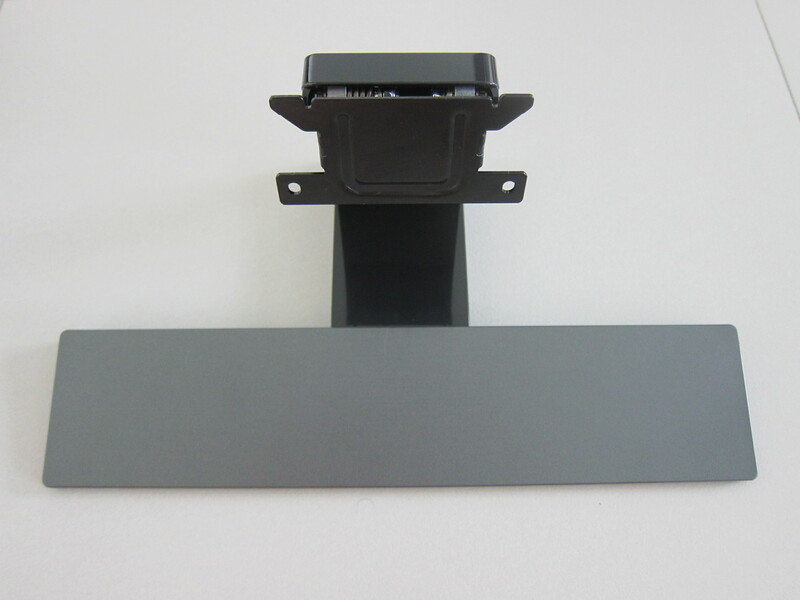 For assembling your monitor, you first attach the monitor base to the monitor arm, and that will form the monitor stand. 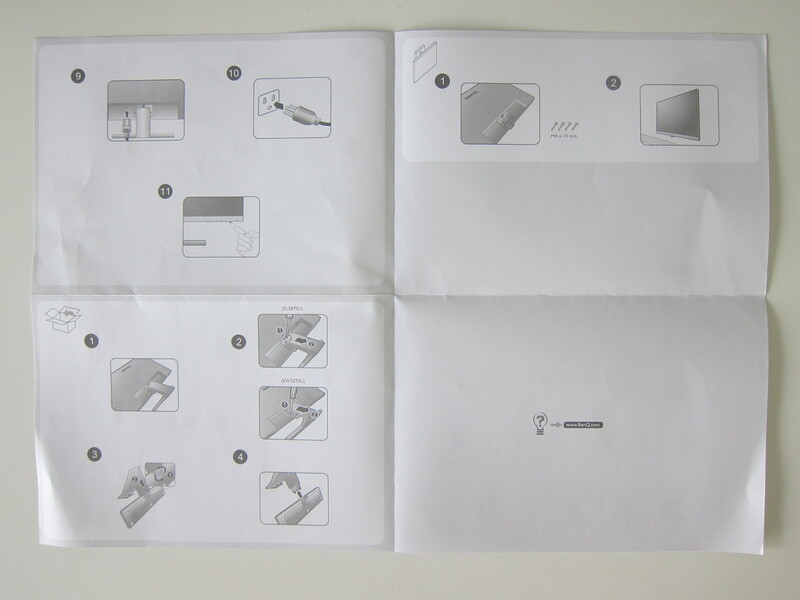 Then, you will need a Philips-head screwdriver to screw the monitor stand to the monitor panel. 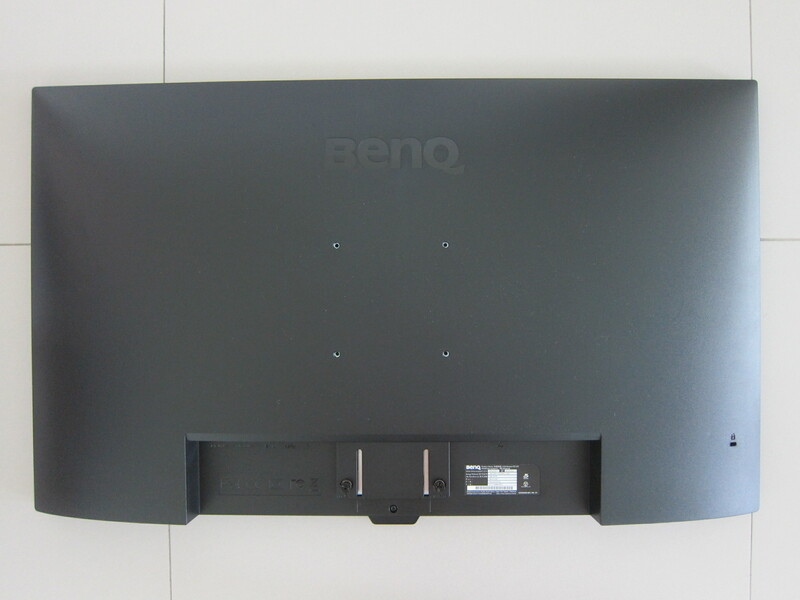 The bezels on the EW3270U are twice that of the EW2770QZ. Measuring about 1.3 cm for the left, right, and top bezels and 2 cm for the bottom bezel. 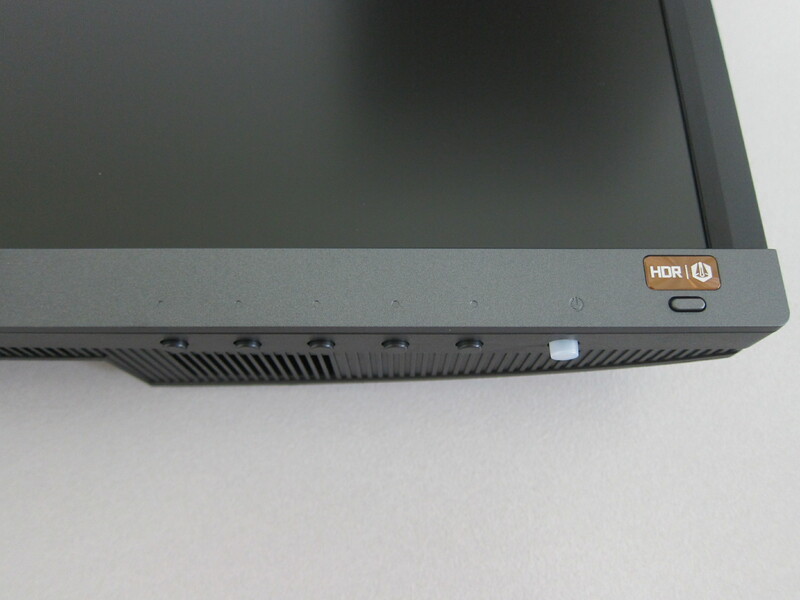 While the buttons on EW2770QZ are located at the back, the buttons on EW3270U are located at the bottom. There are seven buttons on the EW3270U vs. six found on the EW2770QZ. 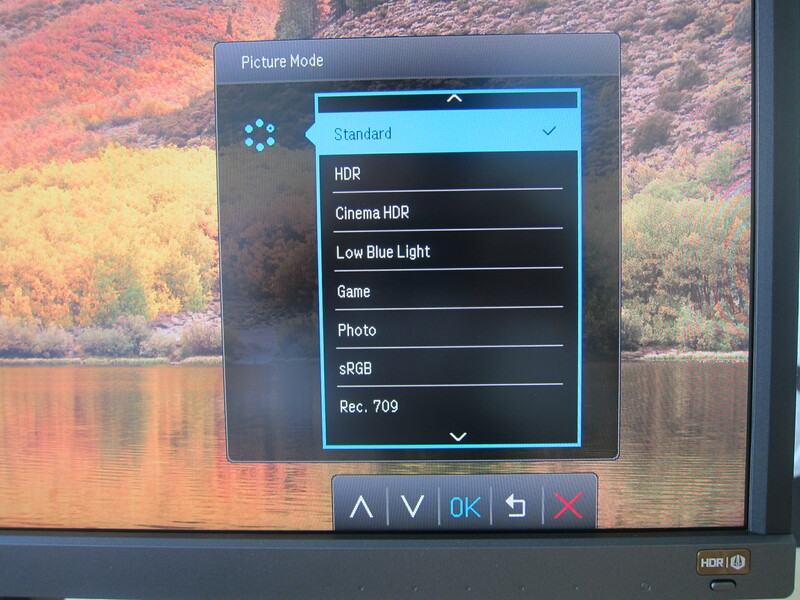 The additional button is a quick action button to activate the HDR and BI+ mode. 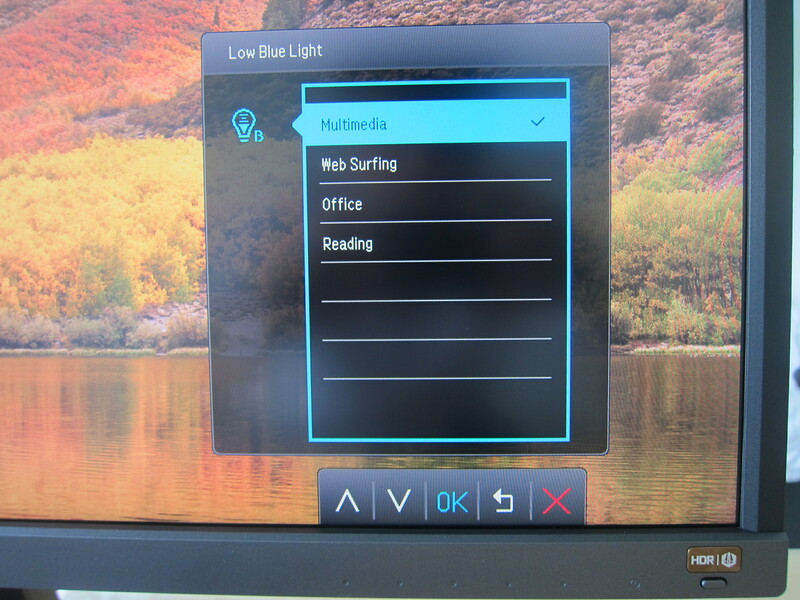 The first button starting from the left is Low Blue Light, Picture Mode, Input, Menu, and Cancel. The power button is also designed differently as compared to the other five buttons. 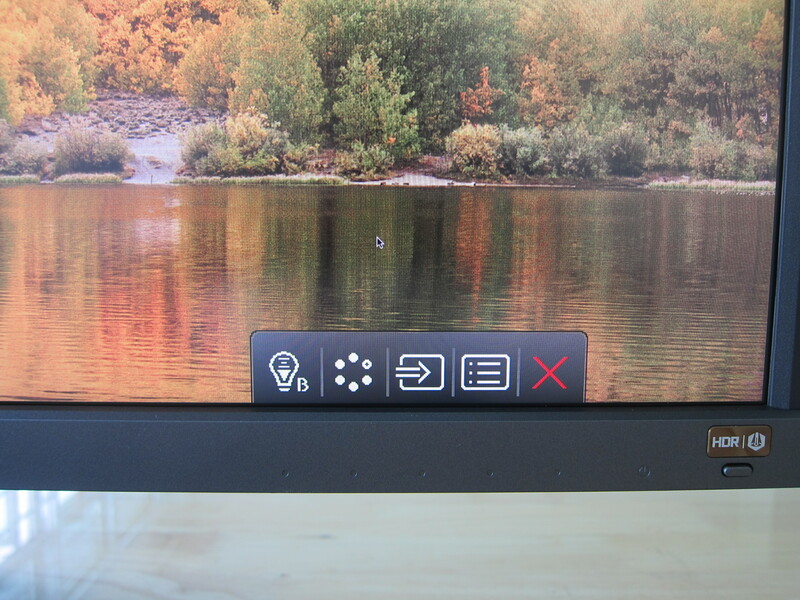 So you can immediately feel which button is the power button to switch on your monitor. Though visually, I keep pressing the HDR/BI+ button because I thought it is my power button. 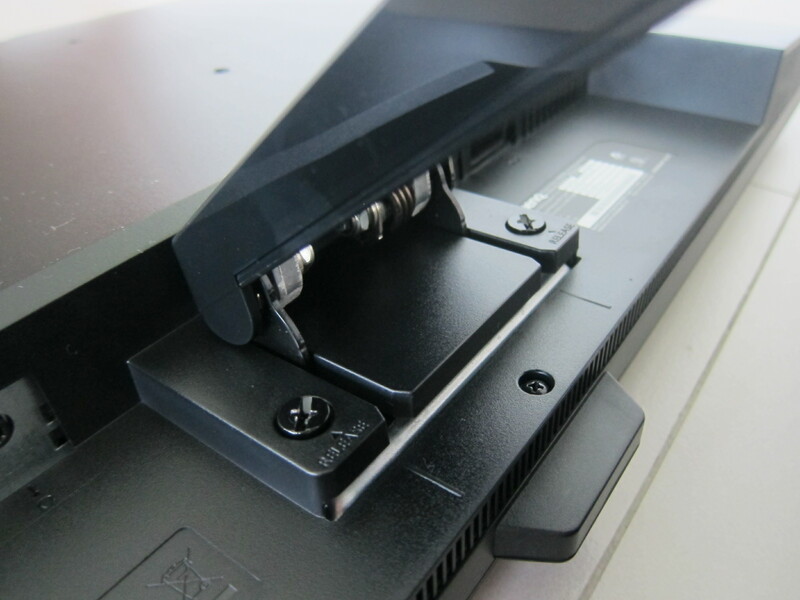 As mentioned in my EW2770QZ review, I find it weird that is a power switch on the EW2770QZ beside the power port. They remove it for the EW3270U. 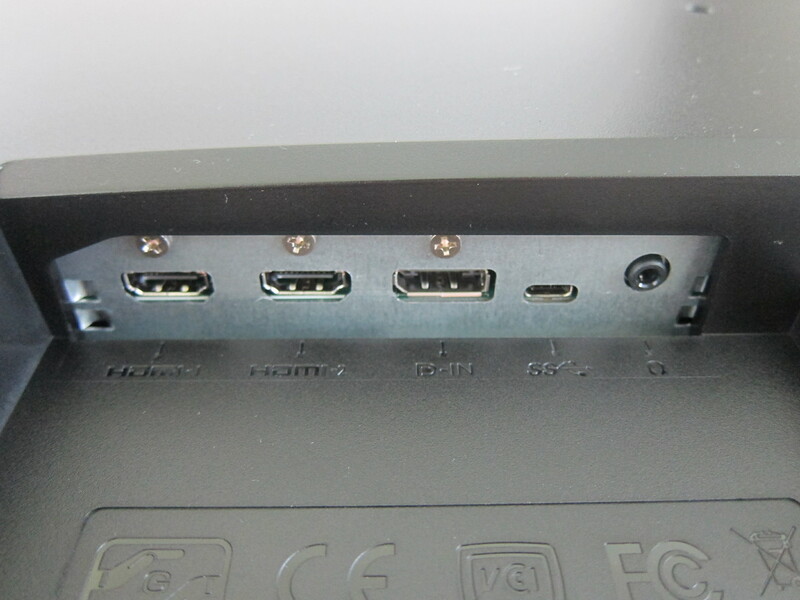 At the back, there are two HDMI 2.0 ports, one DisplayPort 1.2, one USB-C port, and one 3.5mm audio out port. 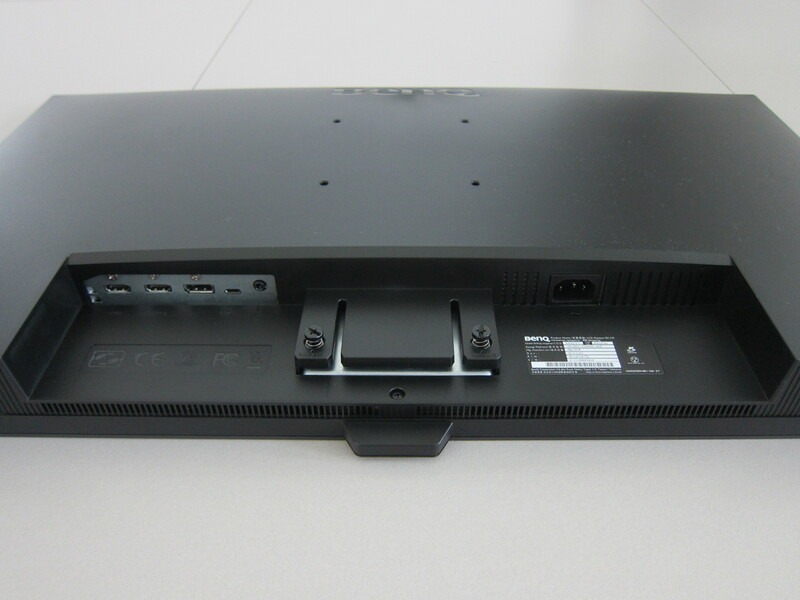 The port configurations are almost the same as the EW2770QZ except that the EW3270U contains one additional USB-C port. And because of that, they shift the 3.5mm audio port to be just beside the last port (USB-C) which I find it more intuitive. 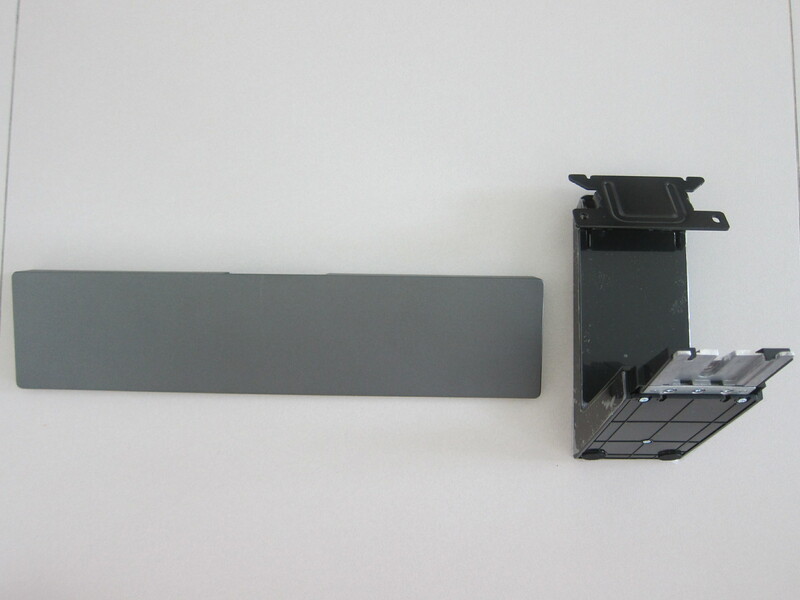 The placement of the BI+ sensor is the same for both EW2770QZ and EW3270U. 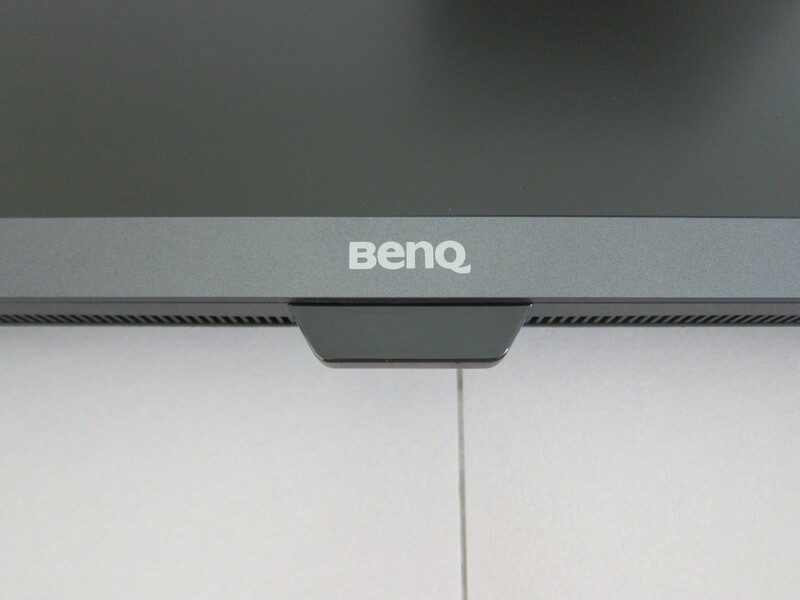 Right in the middle of the bottom of the monitor, just below the BenQ logo. 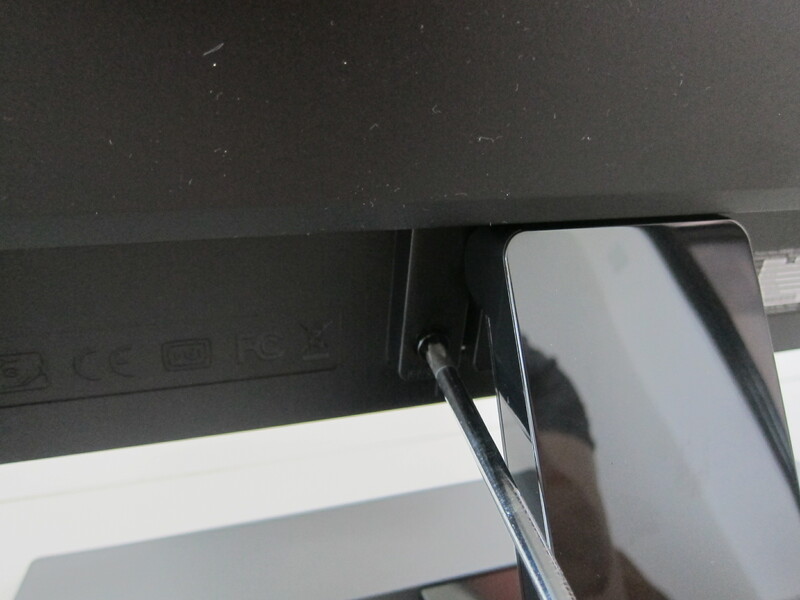 Like the EW2770QZ, you can’t rotate the monitor 90° nor can you move it up or down the monitor stand. You can only tilt it inwards or outwards. 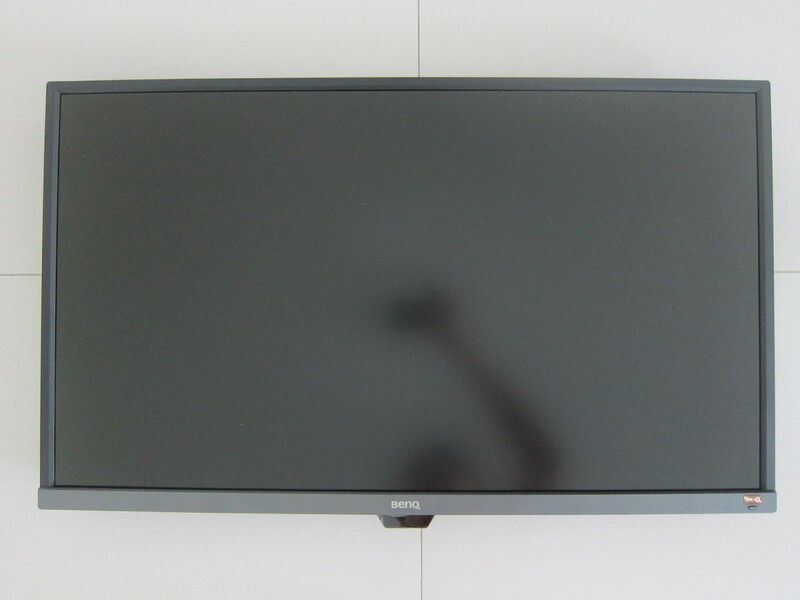 Both the EW2770QZ and EW3270U doesn’t have any built-in USB ports or memory card, readers. The reason why EW3270U is priced rather reasonably as compared to their competitors is that they are using a slightly cheaper panel, VA, rather than IPS found in the EW2770QZ. In-Plane Switching (IPS), Vertical Alignment (VA), and Twisted Nematic (TN) are three types of LCD screen technologies found in LED-backlit 4K displays. 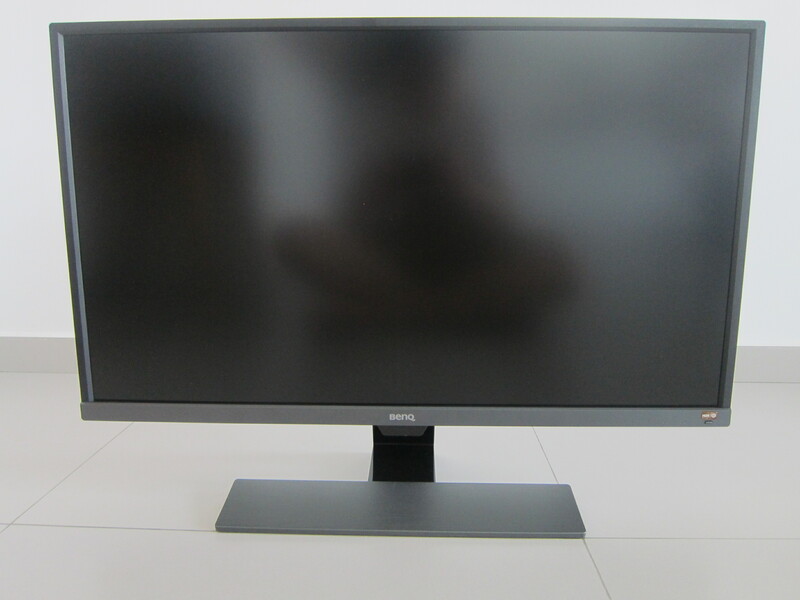 The reason why IPS panels cost most is that it produces more accurate and consistent colors, better viewing angles and good response times. On the other hand, VA panels offer better refresh rates, higher contrast ratios, deeper blacks, and has less backlight bleed. Because of that, VA panels are more prone to ghosting as the pixel takes a longer time to change. Gaming requires good response time while watching movies does not. And hence the EW3270U is being marketed towards entertainment especially since it supports HDR. You can take a look a this Quora question: Which panel technology is better VA or IPS?. VA panels are being touted as the middle ground between TN and IPS panels. Offering better colors than a TN panel and better contrast ratios than an IPS panel. 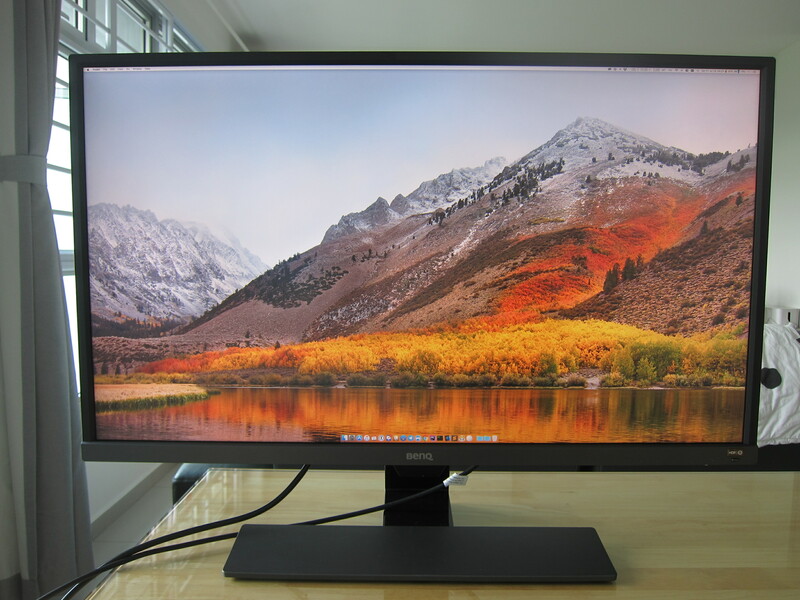 However, it has slower response time than a TN panel, but cheaper than an IPS panel. To be honest, for coding, surfing the Internet and watching movies/TV shows from my Plex, you can’t really tell the difference between IPS and TN panels. It is disappointing that the USB-C port is used only for display input which supports video and audio. The USB-C port doesn’t deliver power to charge your MacBook Pro. 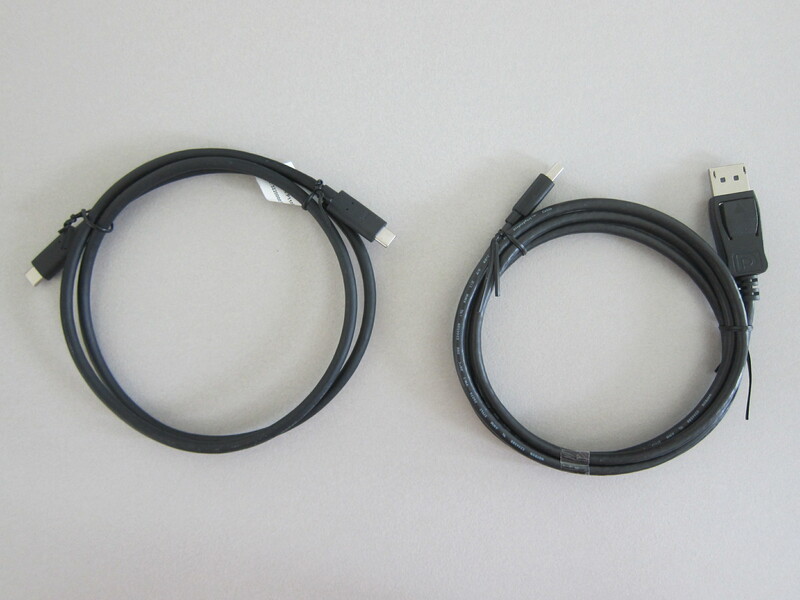 And hence you still need two cables to your MacBook Pro when using this monitor. One to charge and one to connect to this monitor. 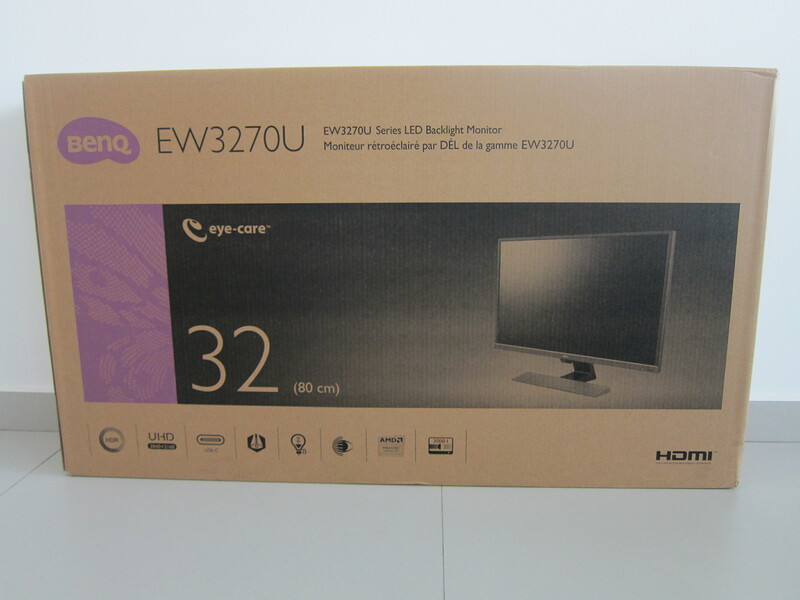 EW3270U supports High Dynamic Range (HDR). As the name suggests, HDR increases the overall dynamic range between true black and bright white to resemble what your eyes see in the real world. 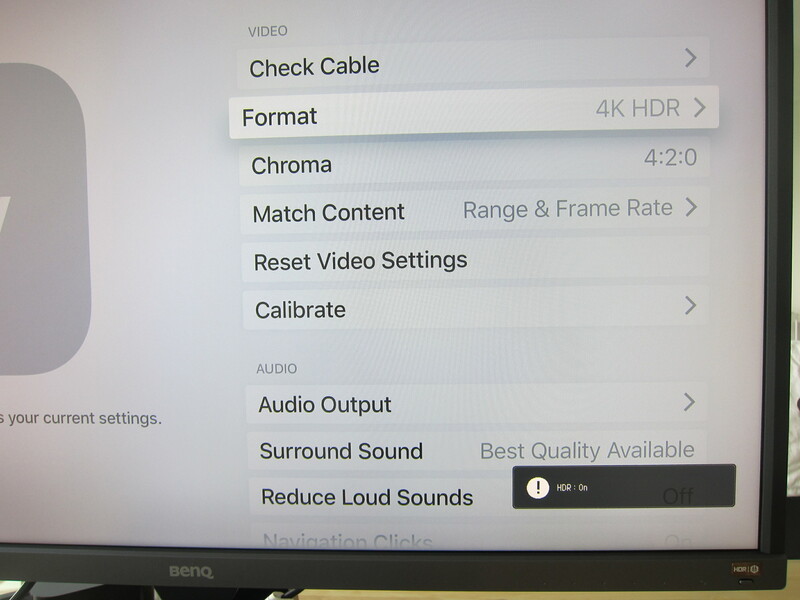 HDR is only supported if you are connecting to the monitor via HDMI. 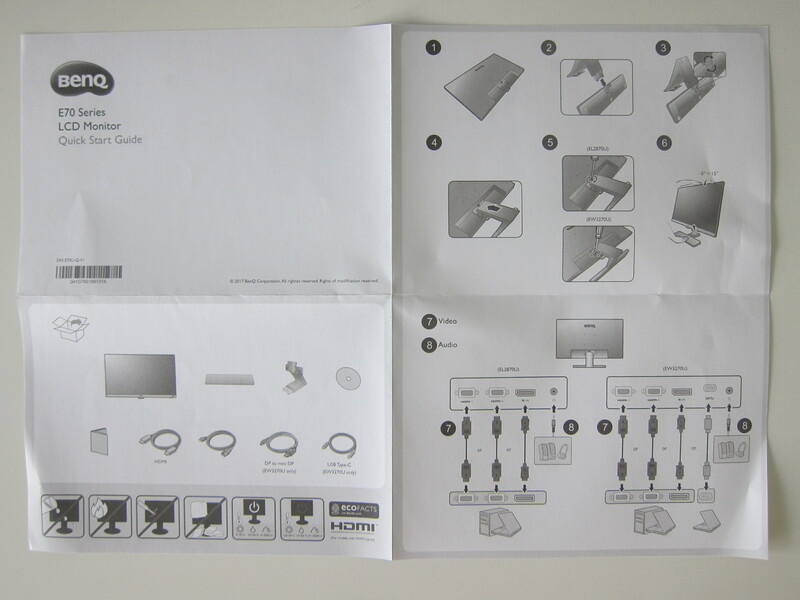 There is no such thing as a special “HDR HDMI cable,” just a regular HDMI cable will do the trick. HDR10 is the current industry standard for HDR content. Both your content and source device connected to your EW3270U needs to fully support HDR. Netflix on Apple TV 4K will be your best bet for testing out HDR on EW3270U. 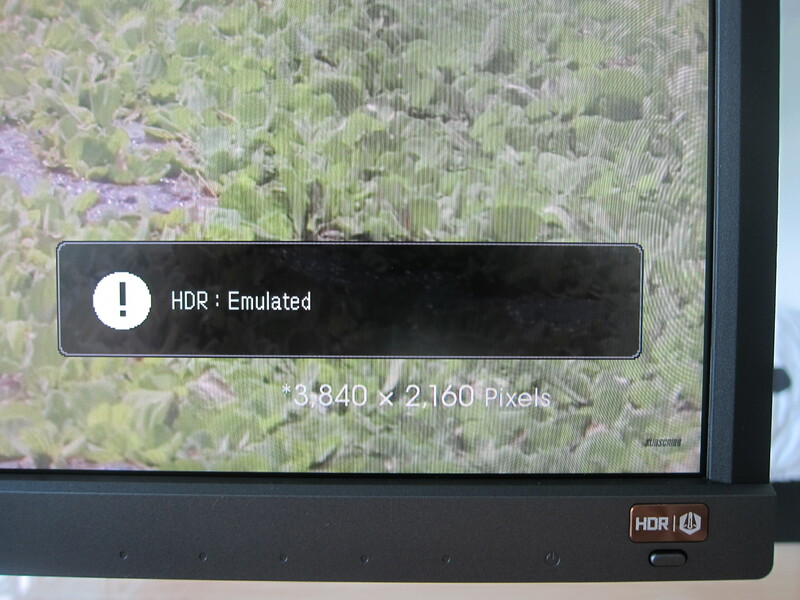 If the monitor detects that your source device is capable of HDR, it will output HDR. You cannot deactivate it unless you deactivate HDR from the source device directly. 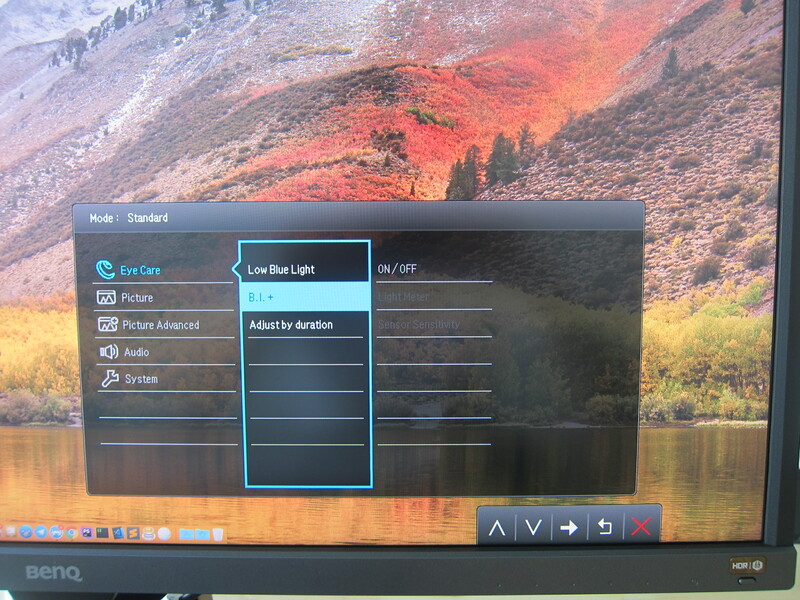 If your content or device does not support HDR, you still can activate the HDR mode on the EW3270U. It will try its best to emulate HDR for your viewing pleasure. I recommend turning it on as there is no harm in doing so. It will make your display brighter due to better color contrast. Like its smaller brother, EW2770QZ features Smart Focus, Super Resolution, Flicker-Free Screen, Low Blue Light, and BI+ Technology. I have covered all these in my EW2770QZ review. Just to briefly touch on BI+ Technology again. What BI+ technology does is it automatically adjust the monitor’s brightness and color temperature based on the ambient light levels and the color temperature in your room. And that gives you a better viewing comfort. If you are a designer that requires accurate color reproduction on your monitor, I am afraid this monitor might not be suitable for your use case. For gaming, the response time between IPS and VA panels might be a factor. If you are a casual gamer, that should not affect you. I would say this monitor is targetted towards office and entertainment use because of the VA panel and hence the lower price point at S$899 makes it attractive. 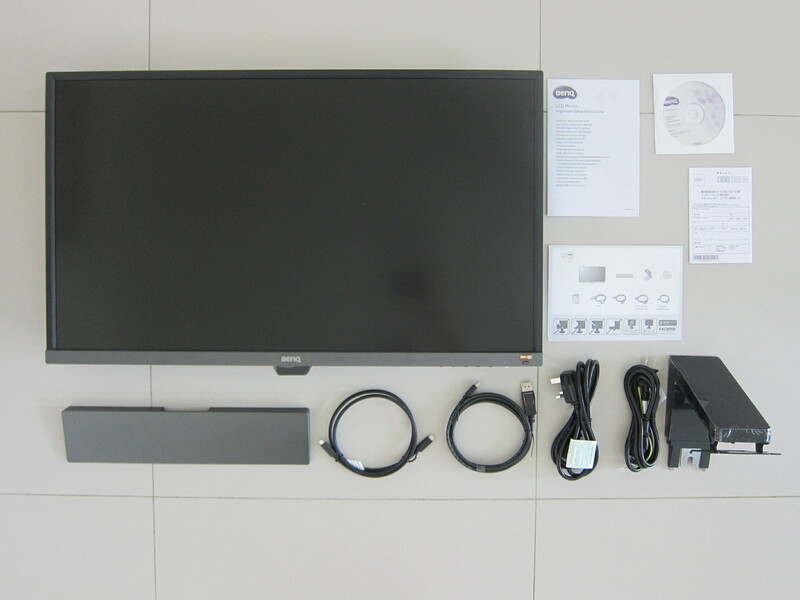 Since it is a 32″ 4K HDR monitor, technically you can use it as television and connect your Apple TV or Android Box to it. Among all the features mentioned in my previous EW2770QZ review, I would say that the BI+ Technology is my favorite. Not that I work in different room lighting conditions all the time, but I just like that my monitor can adjust the color temperature and brightness based on the room’s ambient lighting. I know most designers don’t like that as it will affect their work. I am not a designer, nor I play games anymore. I use my monitor for coding as well as watching movies/TV shows, so this monitor fits my use case. The only disappointing thing about this monitor is that it doesn’t deliver power over USB-C. Isn’t that the whole point of having a USB-C port in a monitor? To have a single cable to charge while delivering audio and video? This page is generated on 20th April 2019, 14:15:05 (UTC) in 0.578s with 15 queries using 2.0 MiB of memory.